It's always fun to get away from your usual environment every so often and just have a complete change of scenery. I find it it gives you space to think and re-evaluate life every once in a while. 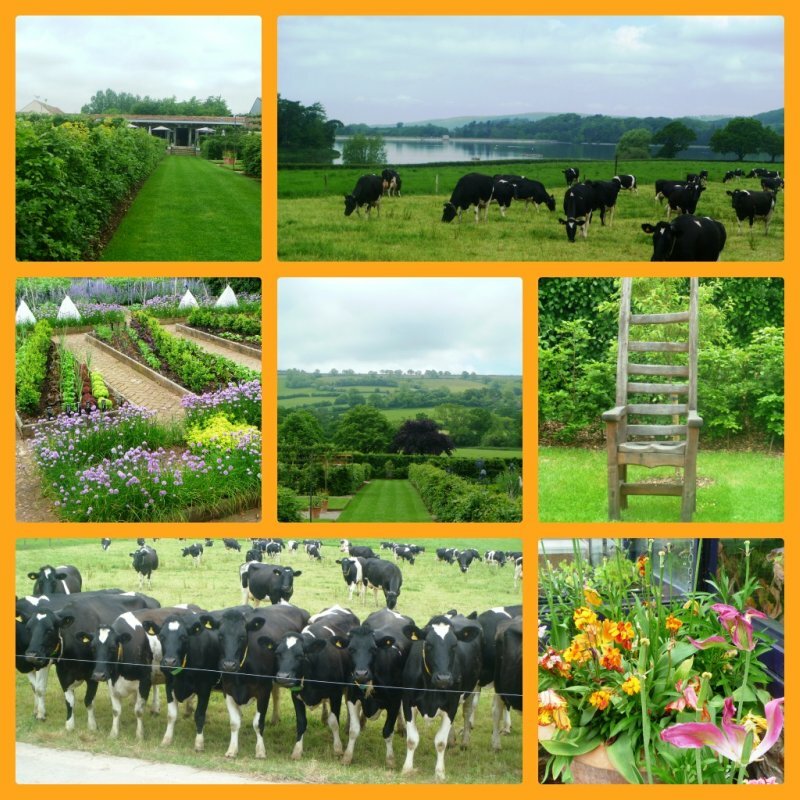 Recently, I was invited to take a trip down to Yeo Valley Farm in Somerset. Unlike other brands who may make up their names, Yeo Valley is a real place, set in North Somerset. I don't know if you remember the adverts aired during X Factor in 2010 and 2011 where young farmers shared their rapping and singing prowess, whilst wandering beautiful scenery and riding tractors? - well that was filmed down at Yeo Valley - a place that does indeed offer a stark change of scenery from the commuter town where I live. The Mead family who own and run Yeo Valley have been farming in Somerset since the 1400's. Roger and Mary, the parents of Tim who runs the company now, moved to Holt Farm in the 1960's and started out with 30 cows, a few sheep, and some crops. In 1969 they brought Lag Farm next door, and by 1972 had set up a business selling Strawberries and Clotted Cream, and a Tea Room next to Blagdon Lake. They soon began producing yoghurt with skimmed milk left over from clotted cream. By the 1980's, Yeoghurt was being produced in the Yeo Valley, with 30 workers in the dairy. During the 1990's, the Yeo Valley Organic brand was born when the Mead's began buying milk from a group of local organic dairy farmers who had set up a co-operative (OMSCo). By 1999, there were over 600 people working for Yeo Valley in their new head office in Blagdon. By 2007, there were 1000 people working at Yeo Valley and business was flourishing. In 2011, Yeo Valley celebrated 50 years of farming in the valley, along with their third queens award for sustainable development and a good dairy award from Compassion in World Farming. Currently, Yeo Valley produces yoghurt, milk, cream, butter, compote, frozen yoghurt and rice pudding which are supplied to supermarkets and other retailers. Yeo Valley believes that small dairy farms deserve to be around forever - and so they are doing their best to keep it that way. As I mentioned, Yeo Valley products are made using milk from local british dairy farmers through OMSCo. Yeo Valley also buys fresh produce to feed their staff and visitors from local farms, ensuring that farming remains part of the local Somerset landscape. Adjacent to Holt farm, there is a wonderful self-sutainable ornamental and edible gardens, run by Sarah - the wife of Tim. In 2008, the gardens were certified organic - one of the few organic gardens in the UK. The gardens are a constantly evolving project and have been open to the public for the last two years. The gardens also feature a wonderful tea room which produces wonderful homemade food. Everything from the cakes and scones in the tea rooms, down to the potting compost in the gardens is homemade. 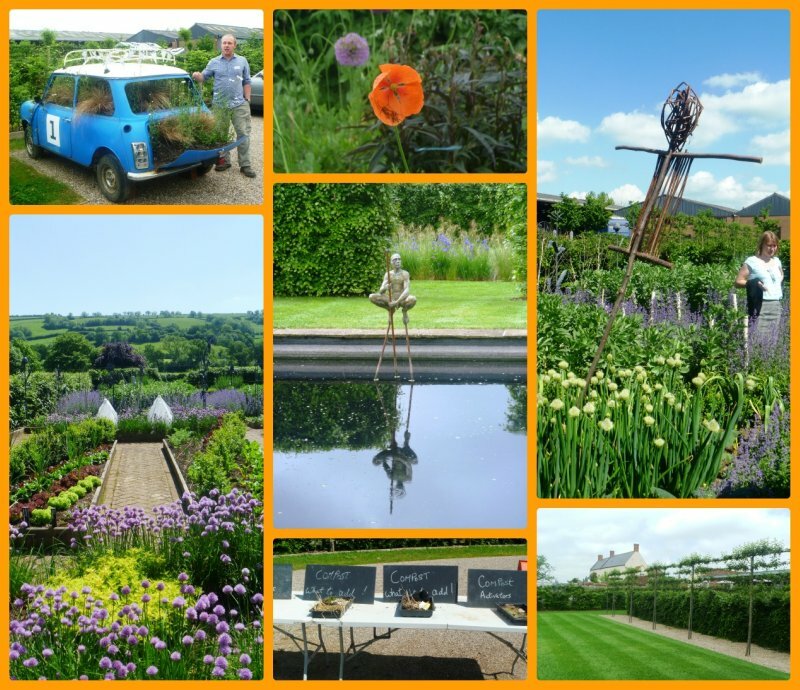 The Organic Gardens are open to the public on Thursdays, April through to September, and on the first Sunday of the month 2-5pm, May through to September. Click Here for more information on opening times and events. A tour of the six and a half acre organic gardens to discover what organic gardening is all about. Yoghurt tasting to test out the different ranges. A delicious Afternoon Tea. Luckily Yeo Valley had picked a glorious day for us to visit. Led by James, one of a team of five who design and care for the Organic gardens, our day began with a wonderful tour of the beautiful, immaculately kept grounds. There are so many different areas within the gardens including The Willow Garden, The Gravel Gardens, The Flower Meadow, The Herb Garden and lots more besides. I would definitely recommend a visit because they are just beautiful. We also got the chance to meet one of the Yeo Valley Herds. Yeo Valley use British Fresians as they are fertile, live longer, and better suited to the damp, rich, fertile land in the valley. The cows are all a friendly bunch and came up to say hello to us as soon as we approached them. Yeo Valley produce only 5% of their milk from the two herds that they own, using a local co-operative within a small radius of the farm to source the rest. This means that the more Yeo Valley products that are bought, the more demand increases and the more money goes back into local farming. After our walk around the gardens, we retired back inside the tea rooms. Everywhere you look at Yeo Valley, you find yourself drawn to tiny nooks and crannies to investigate the interesting things hiding in them, and no more so than in the Tea Rooms. Sarah, whose brainchild the Tea Rooms were has thought of literally everything, even down to the decor and decorations in the toilet. There are so many interesting pieces inside the tea rooms and spread throughout the gardens. After a fun-filled and extremely delicious yoghurt tasting, cookery demonstration and lunch (which I will be blogging about soon), we heard from James about how to make your own composts and liquid feeds - one for the keen gardeners amongst the group! This was followed by an interesting talk on the Vegetable Gardens by Will. Our day finished with a delicious afternoon tea and a goody bag to take home. I had an absolutely wonderful day at Yeo Valley and can't wait to return at some point in the future (hopefully!). I spent the whole day thinking how much my family would love Yeo Valley and wishing that they could see this absolutely beautiful place that I had been so lucky to visit. If you are interested in visiting, Yeo Valley do tours, priced at £30 per person, including lunch and Yeo goodies to go home with. These tours are well worth the price in my opinion as the experience is so wonderful. There is a wealth of gardening expertise amongst the staff, so if you are a keen gardener then there are many fascinating conversations to be had. There are also lectures and other workshops which happen at the gardens throughout the year. 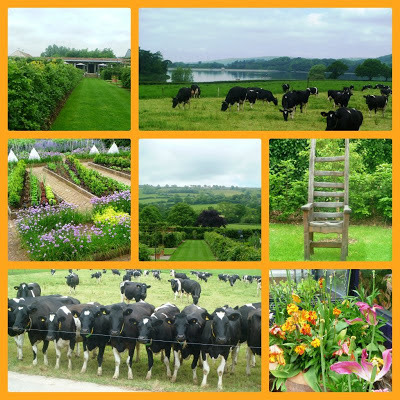 I would definitely recommend a tour or a visit to Yeo Valley, even if it was just to sit in the tea shop, sample the wondeful produce and take in the breathtaking views. "It's so honest, the Yeo Valley brand. To call it a 'brand' is almost unfair as it is real. It's like a family. It's a beautiful place, there is real farming going on. The products they sell are real, coming straight from fantastic farming and husbandry. There is a sensitivity about the way that Yeo Valley farm and how they produce products which the soil association is proud to be associated with, and a naturalness which is looking after the environment and looking after the place that is producing the great food that you eat"
I think this sums up my day and my feelings about Yeo Valley perfectly as there really is a community, family-run feel to the place. Thanks so much to all of the staff I met who were so welcoming, knowledgeable and lovely, and to Kate for accompanying us on the train and making sure we didn't get lost between the farm and the station! Disclosure: I was invited for an expenses paid tour of Yeo Valley Farm, and received a goody bag as a Thank You. 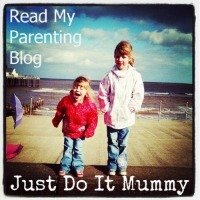 I was not asked to write this blog post. All opinions are my own. What a lovely day out and such great photos. It looks so green and lush there.